← eShakti Custom Dress +Coupon Code! 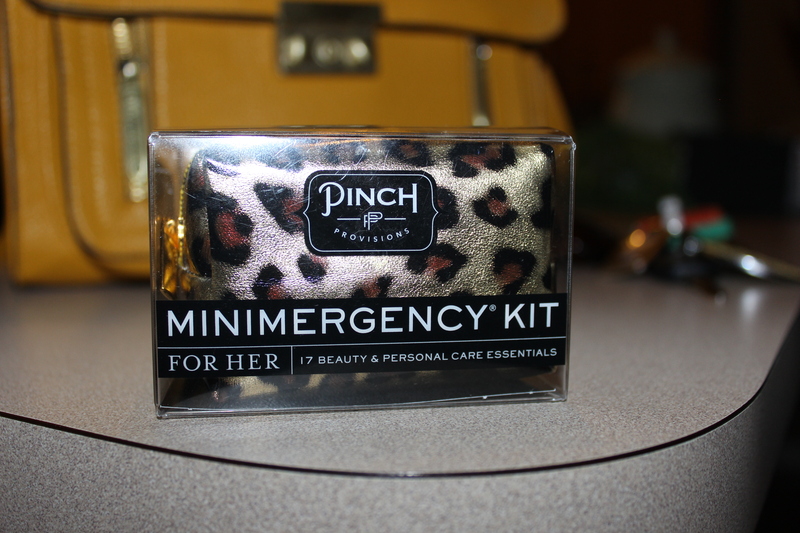 How freaking cute is this Pinch Provisions minimergency kit! I saw this baby at the Sephora check out line (don’t they always get you) and knew I needed it in my life the moment I laid eyes on it. 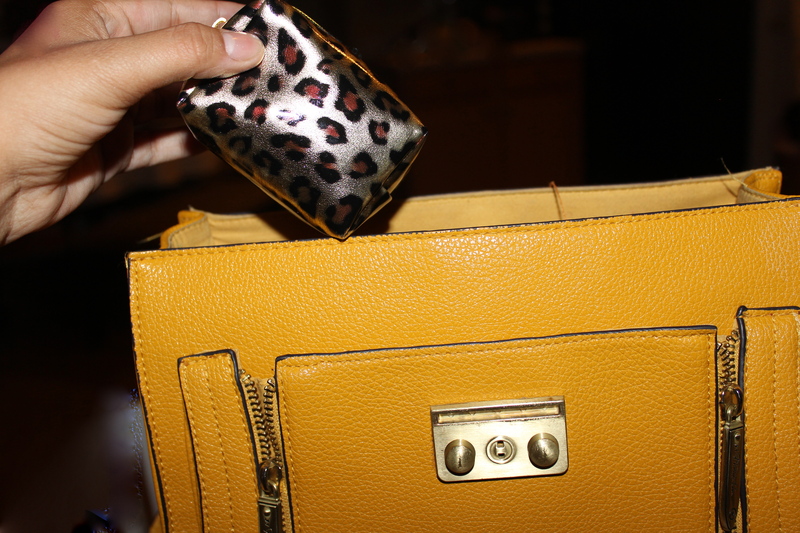 The small packaging is genius and they offered a variety of colors to choose from besides the leopard print. I am someone who likes to be prepared for any catastrophic events that can occur (especially having to do with my wardrobe). It often happens that when I need that safety pin, or tide stick for example…I never have it! 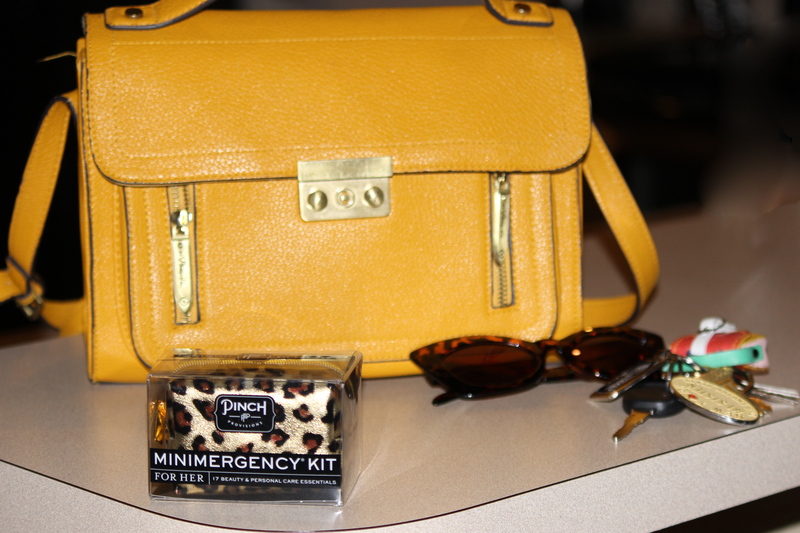 This little bag keeps everything you could possibly need in one convenient location that is easy to throw in any purse. 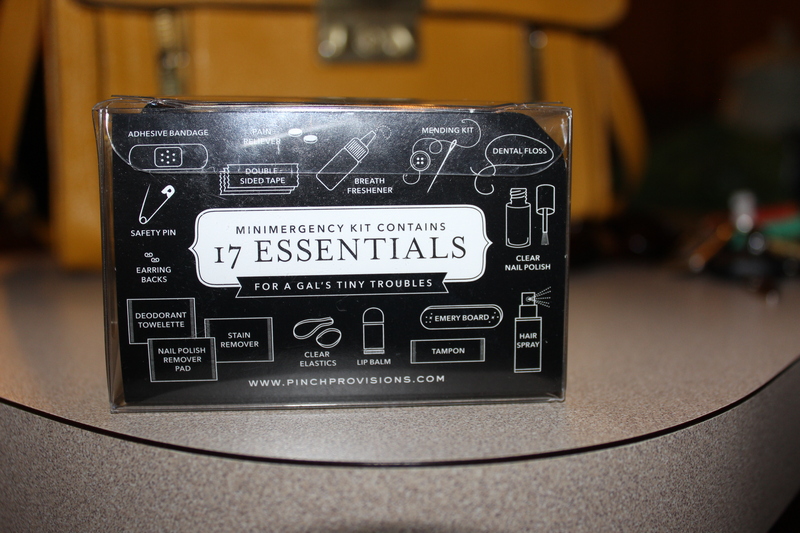 17 items for any and all malfunctions that could possibly occur, from tape, breath refreshments, bandaids,wipes and earring backs you are pretty set for any emergency you may face. It even had enough space for me to add even more bandaids and also a small tiny sample AVON lipstick that could be used for lips or cheeks. I love it and feel prepared when I step out the door now. Links below! Yes all 17 items fit perfectly in this tiny pouch! 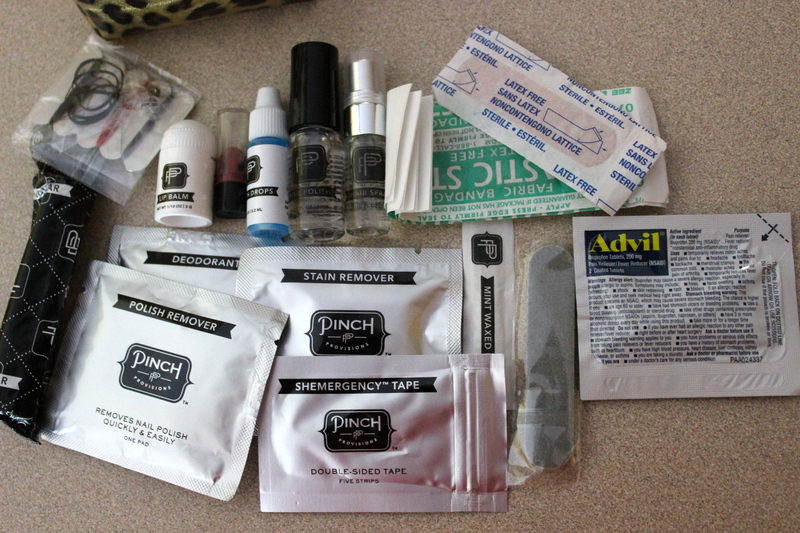 I personally added more (normal sized) bandaids and the tiny lipstick sample.